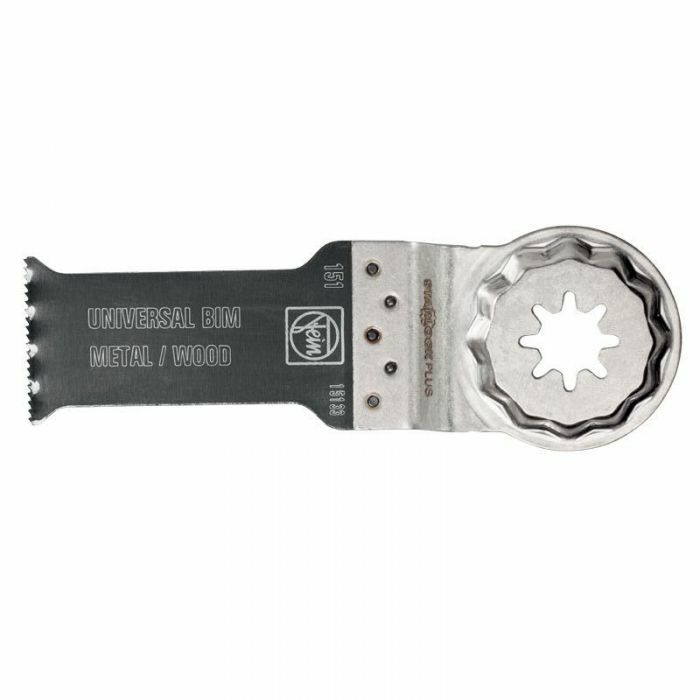 This 1-1/8" wide bimetal steel blade can cut wood, drywall, plastic, copper pipe and aluminum shapes up to 2-1/8" thick. Also cuts nails, staples, cleats and sheet metal up to 14 gauge (.078"). Sold in a pack of 3. The StarlockPlus mount offers fast, secure, tool-less blade changes - in under 3 seconds - and 100% power transfer due to the stainless steel 3D tool mount. Blades are extremely rigid for precise cutting results. StarlockPlus Blades will fit the Fein MultiTalent, MultiMaster, SuperCut and some Bosch Tools.